I've been procrastinating too long about this, so here it is. I haven't yet had a chance to reposition the views and the laser origin (far too busy at work and home), so would some kind chap have a look at this and let me know the changes to make please? Note that this is BETA software, tested on my own machine but nowhere else. Once it's tested and done I'll upload the final version to the Wiki. Damn!! I'm at work!! I'm going to have to try and be patient until 17:45... ...arrrrggghhhh...!!! Not working today, so took one out for a spin. The laser settings for the Forward, Aft Starboard & port are fine. The external view laser is a bit too low (its correct for the left / right position, but is coming up below the nose). One tiny suggestion: Maybe name the ship in Shipyard.plist icour-player as this means those of us who already own the old version get a straight swap for the new one rather than having to wait for the new one to come up for sale in the Shipyard. I've downloaded the file, Im going to test it tonight ! Here's the view out the starboard window. Now, I don't claim to be an expert, but this looks a little low down. 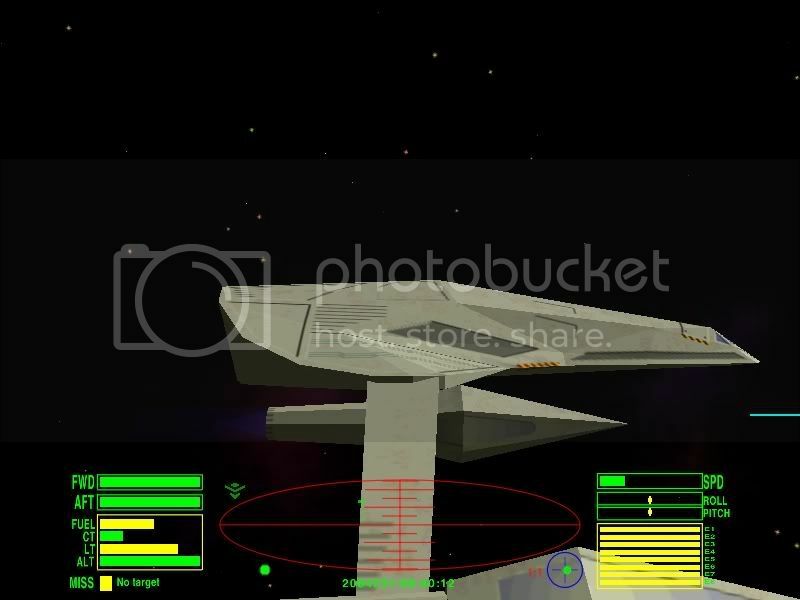 I'd have expected the nacelles to not be visible through the side views due to the angle at which the pylons are in relation to the cockpit views. And as LB said, the lasers are spot on! I'm plugging Kraits and Sidewinders at 20+km with great accuracy. And as previouly stated, the external view shows the laser coming out several metres below the cockpit. Meh, no-one's perfect, she's still a great ship! I've experienced that before, unfortunately I don't recall the circumstances. But IIRC it didn't work with all ships, only some OXP ships. @ Selezen: The laser positions were too low even in the original version. I changed them for my commander. The new Imperial Courier is almost three times as big as its predecessor, so my values don't work. I suggest the following view positions and weapon positions. One remark: from the design of the ship it's not too clear where the port and starboard weapon mountings are located, so this is really just a suggestion. I'm happy to get feedback. This part of code is meant for the player version. However the weapon positions should also be copied to the NPC. Finally two questions: Why doesn't the NPC version have a scoop? And what about fuel injectors? I think a ship like this as a pirate definitively needs them. This might be a good time to point out something I wasn’t aware of until I noticed it in the code a few weeks ago: fuel scoops and injectors can be set as a probability (in the range 0 to 1, e.g. <real>0.5</real> for 50% probability) instead of <true/> or <false/>. This applies to: has_ecm, has_scoop, has_escape_pod, has_energy_bomb, has_fuel_injection, has_cloaking_device, has_military_jammer, has_shield_booster, has_shield_enhancer, unpiloted and fragment_chance (a new value in 1.69, specifying the chances of wreckage chunks being generated -- or rather, the chance of them not being supressed -- with a default of 0.9). Well, that's all accurately explained in the wiki (except the new stuff, of course). See the document on shipdata.plist. Think it jams the Cloak. (IE they can still see you cloaked!). If you look in the native equipment.plist there are a few items of equipment set at tech level 99. Guess they were intended for a mission or somthing that was never implemented. I ought to have used them in Assassins, but I didn't know about them when I wrote it, so I disabled the players cloak with script when a ship with a cloak-jammer is present! If you set an OXP station's tech-level to 99 (eg a edit the shipdata for the Black Monk Monastary to set it to equivilant_tech_level 99 and then dock at one), then the items come up for sale and you can buy them. I don't know though if the code to make them do anything is part of Oolite though. *pokes code* The military jammer is a complement to the cloak, not a countermeasure. It makes a ship invisible to scanners, except to ships with a military scanner filter (who see it as a purple/orange flashing thing). has_military_scanner_filter seems to have fallen out of that list, it’s also a “fuzzy boolean”. The corresponding player equipment key is EQ_MILITARY_SCANNER_FILTER (and for has_military_jammer, EQ_MILITARY_JAMMER). Neither are available for normal purchase or through any built-in missions. No built-in ships use them. 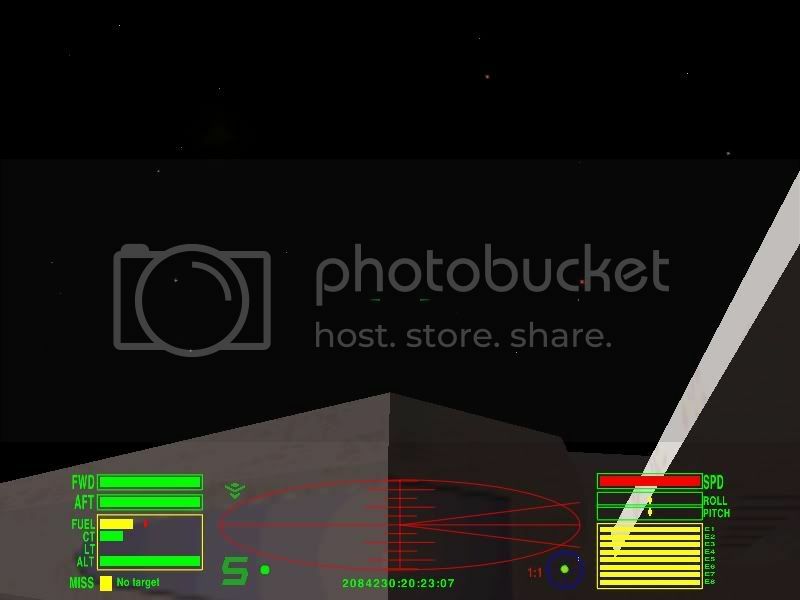 Would that mean the ship would see the player (or for that matter a non-player entry cloaked ship) even if the player / non-player ship was cloaked?